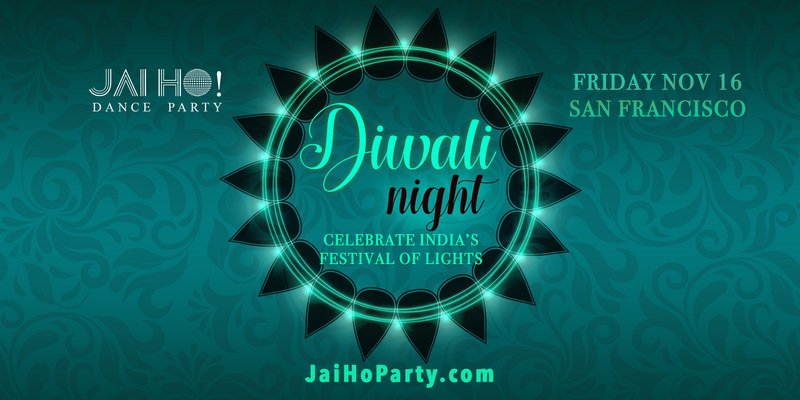 Diwali is India's biggest annual festival which celebrates the victory of good over evil, and light over darkness. 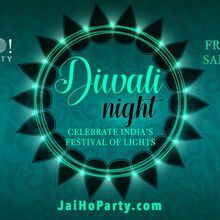 Hue Nightclub will be decorated with LED candles & there will be a variety of Indian sweets for the early birds to enjoy while supplies last. Come dressed in vibrant, colorful costumes in the spirit of celebration. We encourage traditional attire (Indian or any other country welcome) but it's not a requirement by any means. Whatever you wear, come prepared to dance all night long. - Henna by donation all night! - Doors open at 10 pm – 21+ w/ proper ID – Party till 2:00 am! At the core of Jai Ho! Dance Party, we celebrate the values of inclusivity and sharing positive vibes by bringing the best of Indian culture to the dance floor. Our innovative themes that set Jai Ho! apart are transforming the nightlife culture of the west coast. With festive elements like Holi Colors & Dandiya Sticks, we create a celebration of music and dance like none other. We invite you to be goofy, smile, make friends on the dance floor, and of course, to sing and dance ALL. NIGHT. LONG. Jai Ho! takes place monthly in San Diego, San Francisco, New Orleans, Portland & Seattle. Jai Ho! Dance Party is a branch & creation of the production house-team, Bollywood Dreams Entertainment. Founder of Jai Ho! Dance Party & Dance United, Prashant is an ex-Intel engineer turned Choreographer & DJ based out of Portland, Oregon. His effervescent personality & charisma instantly strikes a chord with audiences of all ages & backgrounds. Prashant regularly performs across the United States moving masses with an open format DJ set to an irresistible blend of world's greatest dance music. The interactive dance lessons cleverly disguised in his performance compel everybody to rock the dance floor, transforming any dance party into a full-fledged Bollywood musical within minutes. Mix master Vaibhav aka DJ Vee is the resident DJ of the Jai Ho! Dance Party in Bay Area, he passionately curates Bollywood & Electronic Dance Music to present a cutting-edge sound with a quintessential Indian soul. Unfortunately. tickets for this event are nonrefundable.